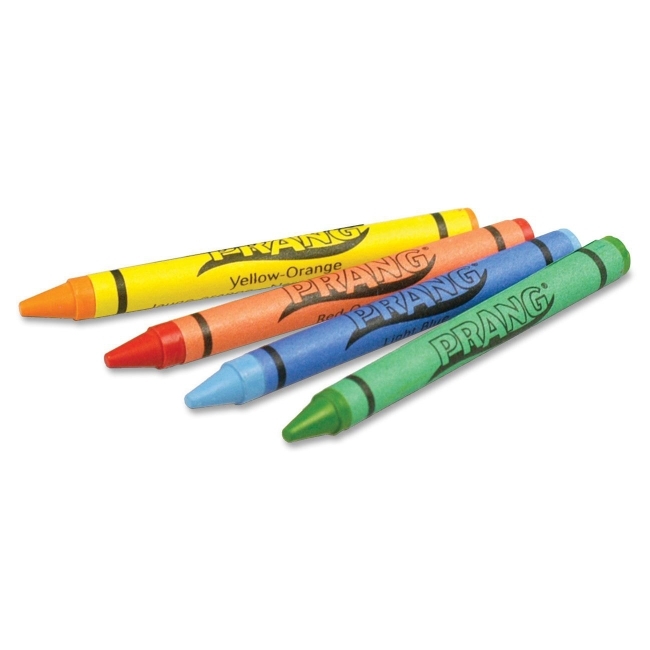 Prang Crayons are made from a unique soybean oil formulation. Each crayon is made from 100 percent renewable resources and does not include paraffin wax. Formula makes these crayons brighter and smoother than ordinary wax crayons. Crayons come in a tuck box and are certified AP nontoxic.